Private Party Entertainment That Will Make Your Event Sizzle. You want private party entertainment, but you are just not sure what would fit the bill. A band or DJ could get loud and the last thing you need is the police. A private party close up show is perfect for groups of 2 to 40. It is a clean, comedy club style act for grownups and some of your guests will be the stars of the show. But don’t worry if there are kids there, it is a family show so they will love it too. Private Party Entertainment That Will Bring Everyone Together With Laughter. corner of the living room for an intimate show. 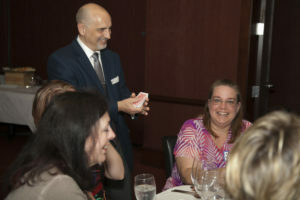 Along with his interactive brand of comedy, he performs sleight-of-hand with cards, coins and borrowed objects. It is something different that will leave your guests delighted and amazed! Everyone will be buzzing with excitement; it is the kind of private party entertainment that will make your party one that will long be remembered. 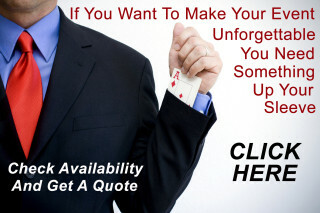 If a stand up show is more what you have in mind, Steve can tailor is comedy magic show to your party. Taking only the funniest bits and the most amazing effect and bringing them to you party.